Along with some retro Suzuki bikes, the 2017 Carole Nash MCN London Motorcycle Show there will be a rare collection of memorabilia from British motorcycling hero Barry Sheene, including race leathers, helmets, FIM World Championship medals and four of the star’s factory Suzuki’s – including his 1976 and 1977 title winning machines! Buy tickets now and we'll see you from this Friday - Sunday at the show. 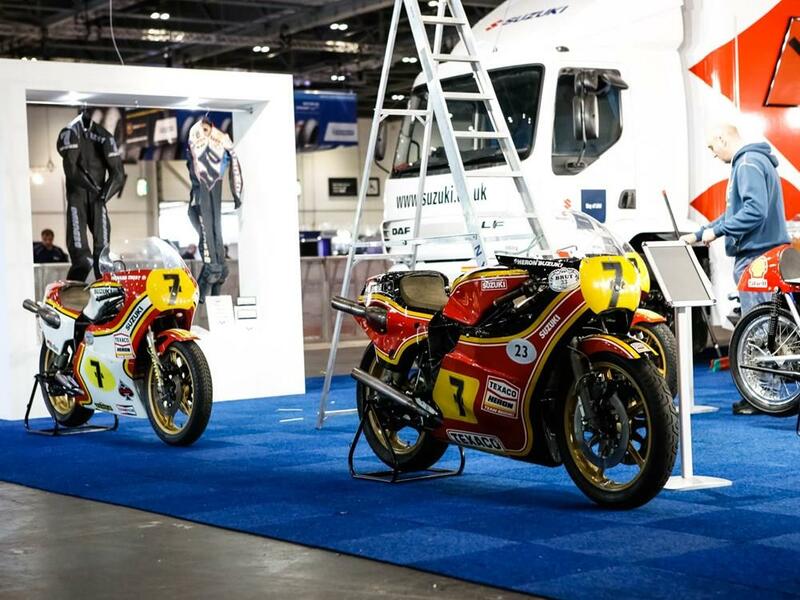 Exclusive Barry Sheene bikes head to London show!